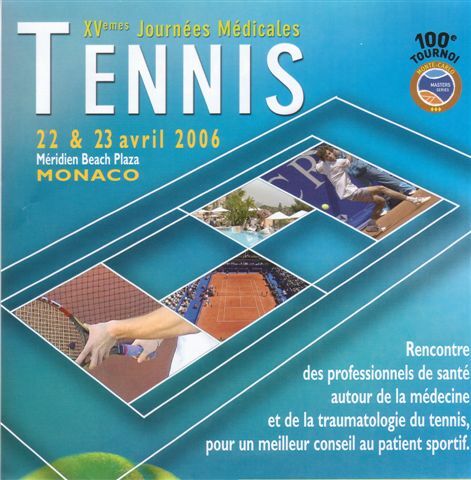 Our friend, Dr. François Widemann, participated once again in the Congress of Sports Medicine, held annually in conjunction with the prestigious tennis tournament, Masters Series Monte-Carlo. 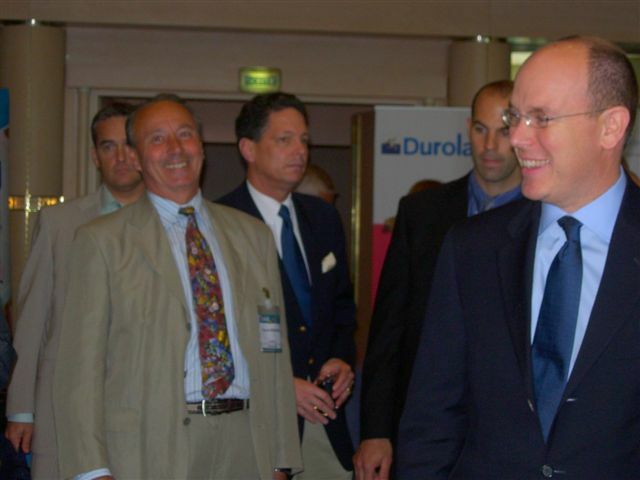 This congress is of personal interest to SAS le Prince Albert II of Monaco, who has been in attendance every year (or almost every year) since it was founded by the medical team of the tournament in 1990. According to François’ wife, Monique, Prince Albert is a genuinely charming person, who is always smiling. He voluntarily approaches each person and always listens to everyone and everything, and he always has something charming and personal to say to each person he comes into contact with. She should know since she and François have been meeting with him each year for several years now, and he always remembers them by name. She says that Prince Albert is always addressed as “Monseigneur” (My lord). So if you were saying hello to him, you would say, “Bonjour, Monseigneur” (Hello, My lord). And he is always spoken to in the 3rd person. So, if you were speaking to him, you might ask him, “Est-ce que Monseigneur voudra visiter le musée?” (Would My lord like to go to the museum?) By the way, SAS stands for “Son Altesse Sérénissime” (His Serene Highness). 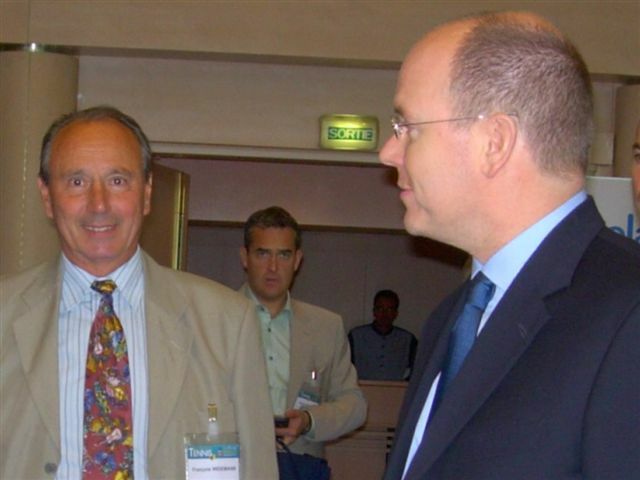 It looks like only François and his old friend, Prince Albert II of Monaco, are in on the joke in this picture. It looks like Prince Albert is awaiting a response from François. It looks like maybe François is thinking, "Hmmm...How can I bluff my way out of this one..."